Some of you might already know a little about this when I was out with you the other day. But to others that have not and LOVE live bands/music. 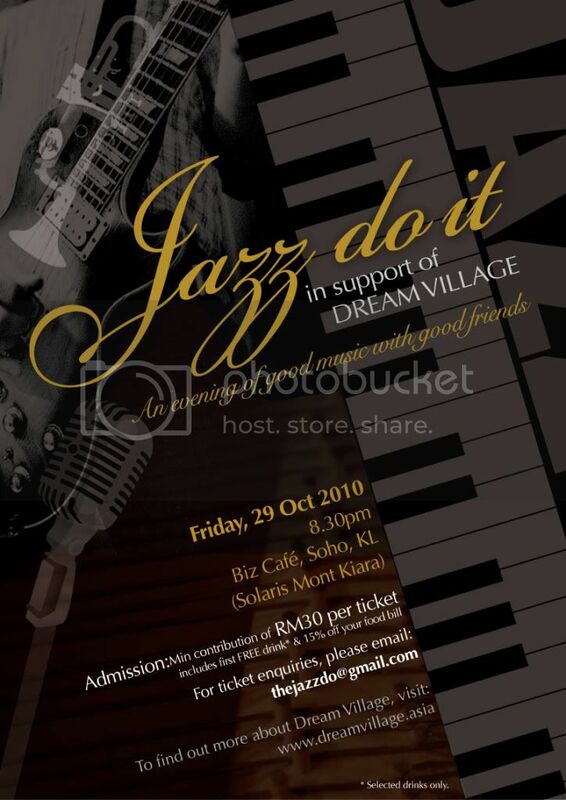 You should consider coming for a night of rhythm and jazz, chill out live music for a cause! Although it is some what centered around the JAZZ theme, it will cover other genre as well. talented and Passionate people who are getting together for a bigger dream. You can say that its a "fund-raising" event, but more than that, its an avenue to catch up with friends, meet new friends and to catch on a dream! drop me an sms or head to the facebook page here.